Today’s digital world hangs on the satellite networks that invisibly circle the globe. They’re the wiring system for many commercial and military operations down below, and they’re highly vulnerable to attack. Russia has jammed GPS reception in Ukraine; China has hacked U.S. weather satellites; North Korea has jammed signals over the demilitarized zone. The Cheyenne Mountain Complex in Colorado was built for NORAD to direct the American response to a nuclear war with the USSR during the Cold War. The high-tech base, which shut down ten years ago, is one of the icons of the Cold War – a self-contained and sufficient town buried under the Rockies meant to be impervious to a Soviet nuclear barrage. During it’s time as an active base NORAD scanned the skies for Russian missiles and the military command and control center of the United States in the event of World War Three. The $700million contract with Raytheon Corporation to oversee the work for North American Aerospace Command (NORAD) and U.S. Northern Command, however, could shed light on the facility’s future. With the nation’s electrical grid and infrastructure increasingly becoming more vulnerable to a foreign attack, the Colorado mountain could act as a shield against an EMP strike, or even a space to earth laser attack. America, amongst the supremacy, bigotry, and lies that are a daily occurrence from Donald Trump, there are real threats from countries like North Korea, Russia, Iran and many others. North Korea, Iran, Russia, China all are reported to have either EMP weapons or capable of creating them in a short timeline as needed. These weapons could become the next huge war America must face. We look at above-ground lines, and question, not only the safety and competence during weather, but the ability to withstand other major events. The frightening thing about this tete–a–tete is that neither side’s leaders or elites will face any kind of danger or peril that would result from a nuclear conflagration, but the populations of both countries would suffer immeasurably. A general and an admiral has stated their belief in the miniaturization capabilities of North Korea regarding nuclear warheads. The foremost expert on the EMP has provided prima facie evidence before the Senate and numerous commissions attesting to those capabilities. 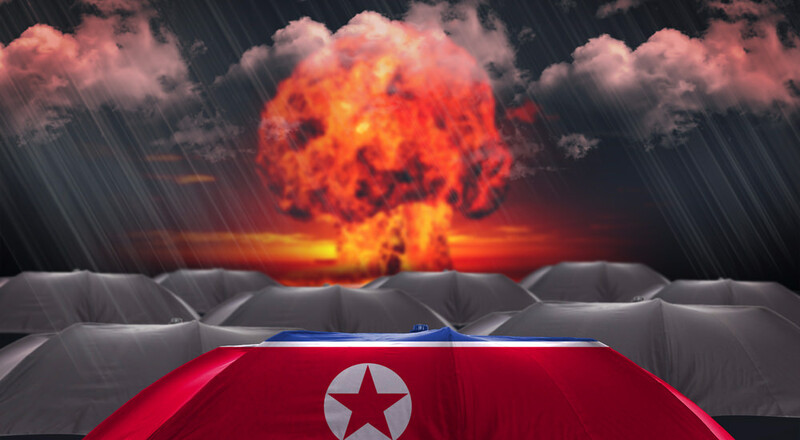 Each day North Korea ramps up its tests and its threats. Russia and China publicly whisper their disapproval of such actions and words while taking no steps to actually stop them. The next world war will be initiated by a first strike utilizing an EMP weapon. The first face-to-face meeting between U.S. President Donald Trump and German Chancellor Angela Merkel started awkwardly on Friday and ended even more oddly, with a quip by Trump about wiretapping that left the German leader visibly bewildered. Trump quips, “I reiterated to Chancellor Merkel my strong support for NATO as well as the need for our NATO allies to pay their fair share for the cost of defense. Many nations owe vast sums of money from past years, and it is very unfair to the United States. These nations must pay what they owe.”, “As far as wiretapping, I guess, by this past administration, at least we have something in common perhaps,” Trump said to Merkel, who looked bewildered as she stared back at him from her podium. Again, Trump proving beyond a shadow of doubt in his lack of substance, demeanor or statesmanship while hosting a great ally and power. Wiretapping is a narrowly defined surveillance activity that involves tapping into “a telephone or telegram wire in order to get information,” according to Merriam-Webster dictionary. Spicer stated that Trump was referring to the Obama administration broadly — and not accusing Obama of personal involvement — when he tweeted that “Obama had my ‘wires tapped’ in Trump Tower” and accused Obama of being a “bad” or “sick guy.” More of the unsubstantiated claims by Donald, that has no evidence, just more of the whole let me spew trash out to take the pressure of the real story, RUSSIA. The escalating threat from North Korea’s nuclear program shows a clear need for a “new approach,” U.S. Secretary of State Rex Tillerson said on Thursday, although he did not say what the Trump administration planned. While America is on the brink of utter failure in so many areas due to the inability of Trump to finalize anything worthy of calling Leadership, he sends Tillerson to another country to insult and threaten a country that is as unstable as Donald is, and now hopes his threats will be taken positively? Trump is no more a statesman nor a deal maker than a four-year-old in a candy store would be. On Friday, the White House issued a (sort of) apology to the British government after Press Secretary Sean Spicer insinuated that the British intelligence service, GCHQ, had helped President Obama wiretap Trump Tower. Like the original wiretapping claim, it was an idea that originated not with U.S. intelligence services, but the media. In this case, it was none other than Fox News’ favorite in-house judge, Andrew Napolitano. This is just one case of FOX NEWS offering their version of reality. A person with an IQ above that of a snake would see that FOX NEWS has turned from news agency to propagandist spewing television for the Trump Presidency, and previously his campaign. It all adds up to a four-step process which looks something like this. 3. Where did Trump Hear X? This is a bad look for Fox. In the last week, we have seen the ongoing cover-up of Russian connections, Pentagon issuing warnings concerning EMPs, North Korea involvement and threats, Merkel being insulted, more on the false wiretapping claims, State Courts blocking bigotry ban 2.0, Tillerson issuing threats, and FOX NEWS being involved spewing false information to assist Trump. One would truly have to ignore their own eyes and ears not to realize the reality of a person that has the title as President but is the least qualified human to hold this office in modern history. Jimmy Carter was more informed and a stronger leader than Donald Trump.